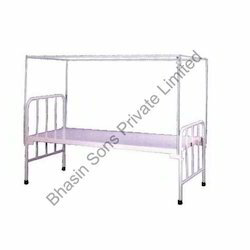 Offering you a complete choice of products which include collapsible telescopic side rails, mosquito net poles, drop side rails, tuck away (split) side rails small, chart holder and abs bed board. 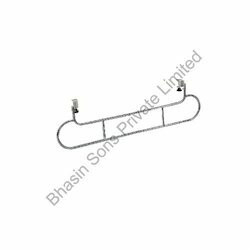 We at, Bhasin Sons Private Limited are engaged in manufacturing and exporting one of the best-selling products namely Collapsible Telescopic Side Rails. These products are manufactured with advanced equipment using premium quality raw materials. The salient features of our products are it is consistency, durability and enhanced operational performance. Owing to its huge appreciation, it finds its application all over the world. We also offer product customization to please our customers. Our top quality Mosquito Net Poles are the finest in the global market. Manufactured with the raw materials sourced from the trusted vendors, these products are better known for strength, stability, durability and unmatched functionality. Our talented experts stringently check and test on various required parameters to ensure that our products are with compliance with the international standard. In addition, we also offer product customization as per the clients’ required specifications, and they are available in affordable prices. 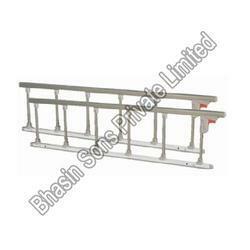 Our organization is the leaders in field of manufacturing and exporting a wide range of Drop Side Rails. 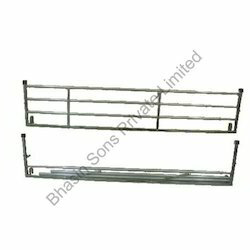 These rails are manufactured under the guidance and advice of our esteemed professionals. Drop side rail products, we manufacture are ISO 9001:2000 certified for being efficient and trust-worthy. These rails are made of stainless steel materials to ensure its reliability. We also offer customized customer design patterns. Backed by the perfect state-of-art infrastructure, we manufacture and export an ample range of Tuck Away (Split) Side Rails Small. These side rails are manufactured using best quality raw materials to ensure its reliability. Side railings are manufactured according to the compliances of international standards. These are compact and proficiently designed, which ensure unsurpassed functionality with prolonged efficiency and life span. We also offer product customization, and they are available in reasonable prices. 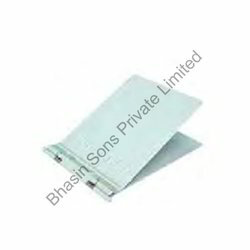 We offer a wide range of Chart Holder in the market. We manufacture these products using better-quality stainless steel materials with the help of sophisticated machineries. We offer these chart holders at a wide range of shapes and sizes, in accordance with client requirements. These products have huge appreciation all over the world due to its robustness. Moreover, it is manufactured in compliance with international standards. It is used widely for maintaining the record chart of the patient. 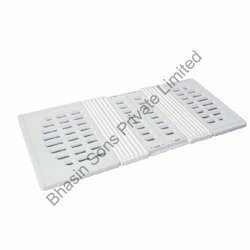 We offer a wide range of ABS Bed Board, an industry leading product globally. 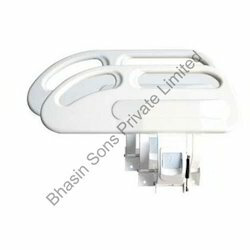 These boards are made up of top quality plastic materials. It is extraordinarily featured with single and multiple dots. This product is used in curing the diseases caused when lying on bed for long time. Our products are widely used at hospitals and also at homes for their curing effectively the disease. Being an expert in manufacturing and exporting ABS Tuck Away Railing, we ensure the best quality, which is in compliance with worldwide quality principles as our domestic manufacturing unit is installed with highly developed machinery to ensure the quality. These railings are fixed at either side of the bed with extreme care and protection. The stylish look and reliable body protects and safeguards the customer. 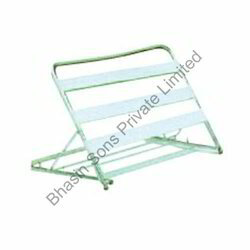 We are proficient and well-organized in manufacturing, exporting and supplying a wide range of backrest. our company is backed up with futuristic technologies and equipment to manufacture these products. These products are specially designed, which induces expanded life span and durability. We offer these products at a wide range of sizes and dimensions which provides much comfort to the user. This product is specially designed for the patients who are suffering from back pain. Under able guidance of our skilled professionals, we offer Aluminum Railing collapsible type . These products are manufactured and are designed in accordance with international quality standards us Mediaing superior quality raw materials. This railing is designed in such a manner that the stretcher is not blocked at any part of the rail. Our products are mainly used at operation theatres and intensive care units to protect the patient from falling on either side. 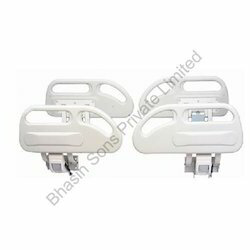 Looking for Hospital Bed Accessories ?